Short Film Stuff was originally created to help emerging and student filmmakers find resources for their projects. It has since grown into a resource for all filmmakers. Every filmmaker spends countless hours searching the web for music, sound effects, plugins, document templates, stock footage etc. Short Film Stuff aims to save thousands of hours by putting links to all of those things in one easy-access place. All we ask in return is that you help Short Film Stuff to grow. Send us links to new resources and ones we may have missed. If you’ve created your own film document templates and you’re willing to share them, please send them through and we’ll include them on the site. Short Film Stuff was created by Pete Grayson. Pete is a filmmaker with two decades of professional experience. 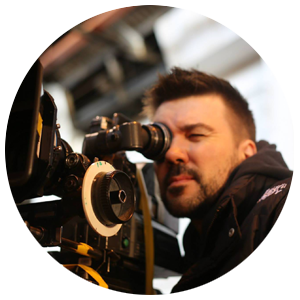 Based in Melbourne, Australia, he directs, shoots, edits, animates, composes and teaches film & television production. Pete owns and runs REELArts Productions. Feature on a Filmmaker is coordinated by Caitlin Dooley. 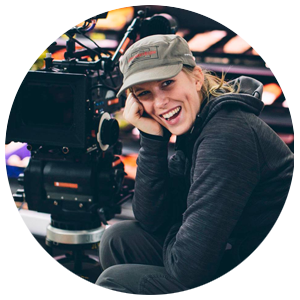 Caitlin has worked as an assistant cameraperson in the Australian film & television industry for the past seven years. Her credits include Offspring, Son of a Gun and The Dressmaker. Caitlin has also worked as a casual technical tutor at the Victorian College of the Arts in Melbourne since 2009.